I'll be attending the TOPO Sales Summit on April 7-8 in San Francisco. If you are a sales, sales development, sales operations, sales enablement, or even marketing leader, you should attend. The agenda looks amazing and the attendees are basically everyone in SaaS. I'll be attending the TOPO Sales Summit the first week of April and am looking forward to hearing from the sales and marketing trenches. The information and networking that will flow at this conference, is unprecedented in our industry. If you think about sales, marketing, demand gen, inside sales, sales development or pipeline, this is a must-attend event! I've been friends with TOPO Co-Founder Craig Rosenberg (@funnelholic) for 10 years and thought we would have some fun leading up to the event by asking him 20 questions. I gave him a caveat; he can only answer them in 3 sentences or less. For the most part he complied, but in typical Craig form, he had to use sentance #4 here and there. Tell us about the Summit? The first annual TOPO Sales Summit will take place April 7-8 at Pier 27 in San Francisco. We will bring together over 600 sales leaders responsible for more than $50B in revenue. We've recruited an amazing lineup of speakers from companies like Google, LinkedIn, and Box. Who should come to the Summit? Sales, sales development, sales operations, sales enablement, marketing, marketing ops leaders. Why should someone attend this event over another conference? There are so many conferences, why did you decide to do this? 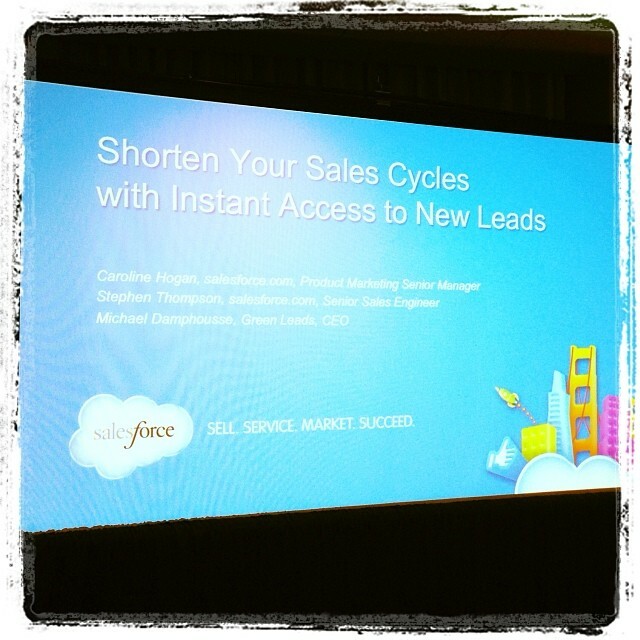 The modern sales machine is scalable, efficient, predictable, and innovating at hyper-speed. The time is now for a conference that focuses on these innovations and how organizations are executing them. What’s the most interesting topic? They are all interesting but I would say our keynote should be fun for everyone. We have Jeff Ma, who was the leader of the MIT card counting team featured in the book and movie, Bringing Down the House. The speakers are heavy on Practitioners, the people that fight in the trenches all day long, why not a bunch of industry experts? We believe in specificity and the best people to deliver specific details are people who are doing it every day. Practitioners and industry experts know their stuff, but we wanted to go deep with the people on the front lines. How did you get all these amazing speakers to participate? We have spent two years studying high growth companies and building relationships with the leaders who run these organizations. I won’t say it was easy, but we had a pretty good idea on where to go first. Why did you start TOPO? What are you doing with the Funnelholic? It’s still alive. I blog on it when I want to have some fun but try to do guest posts as much as I can. What are the biggest trends in sales and marketing? Account Based Everything. PERIOD. 90% of our inquiries have been about moving to account based something. What’s the biggest mistake you see marketers make? They buy technology ahead of defining strategy and process. This was an issue in the marketing automation craze - everyone bought software before having a clear definition of what they were trying to do. It's happening again with the Account Based Movement - people are buying applications and announcing they are now "account-based", but they aren't. What’s the biggest mistake you see sales making? Focusing the majority of their attention on the front of the sales cycle (demand gen) and the end (forecasting and closing). True, scalable revenue growth requires attention and optimization in the middle. What’s the best content you have ever created? Tough one – I would say The Proven Framework for Sales Development. We decided to write an opus and put it in the blog instead of an eBook. It helped put TOPO on the map. What’s your favorite sales or marketing slogan right now? People don’t buy Legos; they buy the ability to build the Millennium Falcon. Stephanie Buscemi from Salesforce told me that one and it’s so spot-on, I don’t know what to do with myself. What’s your favorite sales book? I read them all and find something of value in all of them. If I have to choose, my old boss Stu Silverman told me to read Ogilvy on Advertising and it changed me forever. What’s your favorite marketing book? Same as above – I read a lot. Ardath Albee is my favorite marketing writer of all time. But I’ll give the nod to a recent one, Carlos Hidalgo’s Driving Demand. What’s your one piece of advice for marketers? You've preeched it with b2b appointment setting for years -- it's all about the Account Based Marketing. Segment your target accounts and get into them. All of them. The account based movement is the final piece to real alignment with sales. What is it you say? "Selling doesn't start until the conversation starts." Open the doors and start the conversations. See you at the Summit. Anyone who mentions this blog post gets a huge hug. 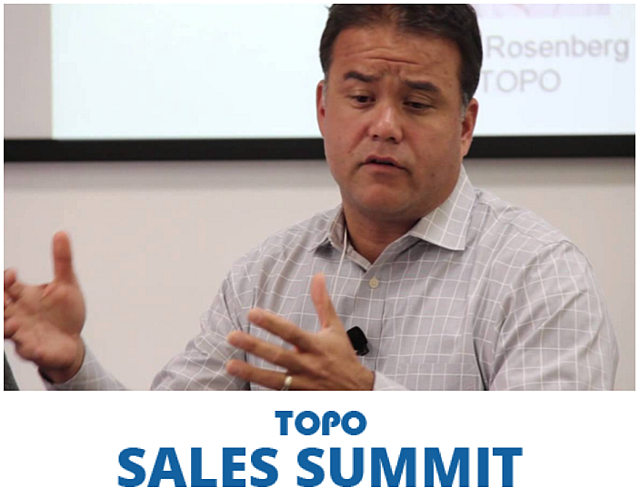 – Click here to learn more and sign up: TOPO Sales Summit. Ok, my favorite question when inteviewing for the blog -- the Curry question. It started years ago for reasons unknown, but it lives on forever. What's your favorite Curry? This Thursday, starting at 11ET, InsideSales.com his hosting the Sales Acceleration Summit. There will be 80 speakers with topics ranging from Inside Sales and Enterprise Sales to Marketing, Management and Motivation. Join us tomorrow for as many sessions as you can squeeze in. You can register for free. I'll be talking Marketing Goodness with Thomas Oldroyd of InsideSales.com. I'll be focusing on how sales professionals need to start thinking like CMOs. Join me and lots of friends and colleagues tomorrow. Don't forget to Register Now! If you are a Chief Marketing Officer, or report to one, or aspire to be one, you MUST attend dreamforce. Period. I would not normally make such a blanket statement, but I don't want anyone to miss the point of this article. Technology - Aisles and aisles of vendors selling everything from big data (impressed by Tableau), to sales productivity tools such as InsideSales.com, which Green Leads just implemented. 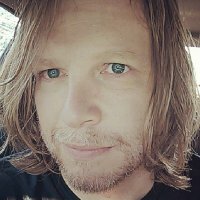 Learn - Study new marketing techniques. Face it, event marketing is one of the largest challenges of a marketer. Come see what's working. Team - Nothing more rewarding than a CMO seeing their team enjoying the conference and learning new ideas and techniques. Network - Meeting new people, prospects and network contacts. Walking around I had a bunch of followers introduce themselves. Networking goodness! POV - Explore all the branding and point of view. My POV guru buddy, Dave Peterson of PlayBigger told me yesterday, was to just experience the show and absorb. Learned a ton. Listen - Some incredible marketers on stage. The list is too long to name, but Marissa Mayer of Yahoo was killer. Customers - Setting up client/partner visits. I could have filled my week with nothing but client visits. Great lunch with Steve Lilly of Ziff Davis! B2B Goodness. Reunions - I walked into Moscone West and five minutes after I got my badge I met someone I worked with 13 years ago. Demand Gen - Find new business. In my particular case, there is nothing better than meeting the VP of Marketing at a booth and them saying "The show is good, lots of tire kickers though." and then when she asks what I do, go into how "Green Leads weeds through all the tire kickers to find you active decision makers." Party - Green Day, Blondie, Huey Lewis and the News. Every bar and restaurant is overflowing with sales, marketers and geeks. Exercise - Yes, exercise, if you consider walking a few miles a day exercise. Being on your feet all day works the core. It's exercise! Press - They are all here. Take advantage of it. Vendors - Odds are that if your marketing vendors are here. Check in with them. Exhibit - If you target sales, marketing or developers, you have to be here! Inspiration - Deepak Chopra! Always some lifestyle speakers here. Having experienced the largest cloud computing conference on earth, I have one regret. I didn't bring an umbrella. Nobody said anything about the "cloud" being a rain cloud! Lead Gen Tip of the Day: Not sure how to find new prospects to meet with at dreamforce, Green Leads has been hired to do appointment setting for dreamforce attendees to keep their calendars full. Having just kicked off, the SiriusDecisions Summit in London will be spanning two days with tons of marketing and sales goodness. I'll be adding notable thoughts, quotes, and tweets to this article during the two days, so come back! @RichardEldh: The relationship with our clients and our prospects is as much digital as it is face to face, if not more. @izjay: Most #SDSummit delegates say their next technology purchase will be in the category of business intelligence/analytics. Nice! @JarmilaHYu: John Neeson at #SDSummit "the sales rep is changing: by leveraging marketing data, tools & tech cold sales calls should no longer exist". As a business owner, I manage my tasks, take care of clients, look at my numbers, work hard, attend to quality, work with my team...you name it. Does that sound much different than a sales or marketing professional? 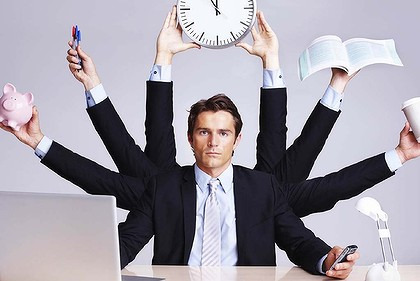 Tasks, Clients, Quotas, Energy, Perfection, Peers. You all own your own businesses! Congrats. So now that you own your own business, where can you go for some advice and inspiration? This week is the innagural issue of Owner Magazine. Owner is the brainchild of Chris Brogan, a leading speaker, author and blogger focused on digital business. Chris and I were sitting down last week talking about the first issue of Owner. His passion for ALL things makes you walk away from any interaction with a "can do" feeling and a smile on your face. His passion for his new online magazine launch is one I share and hope you will too. "The concept of an Owner is simple," says Chris. "It is for someone who seeks to improve worth by growing capabilities and connections. You can be the CEO of your cubicle as long as you’re accepting responsibility for your intentions to grow your abilities and your network. But more so, you’re likely an entrepreneurial spirit, either helming your own organization, or just about to leap out into the fray and make your own path. That’s who we’ve created Owner magazine to serve." I'm honored to be asked to contribute to Owner. It's great to be surrounded by some fantastic-smart people (Chris, S. Anthony Iannarino, Marsha Collier, John Morgan and others). Subscribe to Owner Mag here and be the best owner you can be. Just prior to Seth Godin stepping on stage, for what was an entertaining and thought provoking keynote, HubSpot CMO, Mike Volpe, announced that "We saved the world from 2 Billion cold calls!" And they did. I personally may have benefitted by 1 or 2 a day. Inbound marketing techniques continue to evolve, and HubSpot is the pioneer for Inbound. The tribe they've created in the past few years is amazing. Almost 6,000 attendees to this year's Inbound conference were gathered for lots of marketing goodness, not just the orange kool aid. In the world of sales, selling doesn't start until a conversation starts with the prospect. Getting that conversation going has been revolutionized with Inbound Marketing. The prospect is typically educated more than an outbound generated lead, they are thinking about the topic that your product or service addresses, and the time is fresh to start the conversation. In short, they may be further along in the funnel (waterfall if you're a SiriusDecisions follower). The top outbound marketers have embraced inbound marketing, not shied away from it. Compared to a purchased list or even a list of prospects warmed up with other marketing assets, an inbound list is the cream of the crop. However, unless your inbound lead comes in the form of a calendar invite, date, time and phone number booking one of your sales reps for a appointment, there is still work to do. The outbound function assigned to these leads is typically referred to as Inbound Response. Scrub the data. Have a data team do list hygiene to correct and/or append needed data fields. Or use tools such as DemandBase to dynamically append data. Know your history. Use tools such as HubSpot, your CRM, or other tracking systems to know how your company has interracted with the prospect in the past. Intel. Research the prospect on LinkedIn, Google, Social Sites. The more you know, the warmer that lead. Pounce! Once you have your ducks in a row, call them. If they don't answer, email them. The effective value of leads deteriorates every hour after they submit a form. I just tested the above with a lead that came in through our HubSpot system within the hour. It took me 2 minutes to correct their missing title, see that her colleague talked to us at the SiriusDecisions conference in May, add her LinkedIn url to her profile, note that we're connected by 8 people, and she visited 5 blog articles today. Reviewed and scored -- 2 minutes. Create great content. Socially surround your market. Optimize all conversion techniques. Gather these inbound leads, then follow the process above, and your ROI will go through the roof. Let's get back to the 2 Billion cold calls saved. Inbound marketing certainly does reduce the number of cold calls an outbound marketer has to make to get the conversation started. It streamlines the process. The blended approach of Inbound and Outbound will increase the top line faster than any other methods available. Is that lead an Innie or an Outie? Budget, Authority, Need, Timeframe (BANT) qualification is scrambled and outdated. Having budget was important in the days of "Our contract is up for renewal next year, we need budget". But with so many new products and technologies flooding us, from evangelical to emerging to faster and better, Budget not only doesn't exist, many times those with Authority don't even know they have a Need or that they need it now. Granted, as the sales process advances, you would hope Budget is being allocated so that the decision maker with Authority can solve their Need in a Timely manner. But read the beginning of that sentence..."as the sales process advances". There is no place for BANT in a lead gen scenario, it is for later in the sales cycle. BANT is dead as it pertains to Lead Gen. 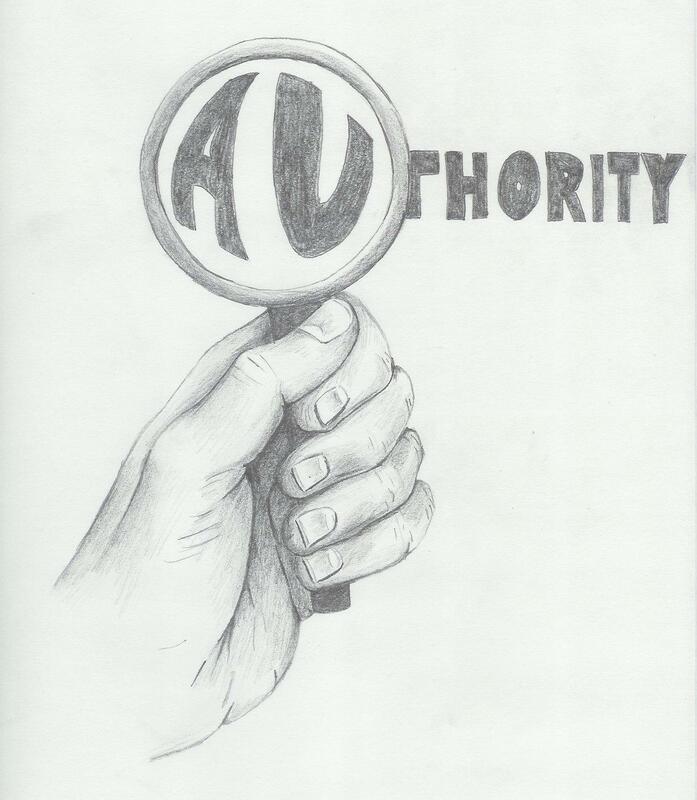 I'm singing the praise of Ken Krogue and company at Insidesales.com with ANUM -- it all starts with Authority! I've been known to say "The sales process doesn't start until a conversation with a prospect does". And in Lead Gen, especially b2b appointment setting, the goal is to get the conversation started. Finding the decision makers and influencers are half the battle, then getting the conversation started is the other half. Just make sure to identify the proper prospect, one with Authority, and then have a valuable conversation that brings value to that prospect and helps them see the Need you want to fill. If they have the Need, a real Need, they will feel the Urgency to then justify the decision and get the Money for the project. ps. Check out the Inside Sales Virtual Summit on June 20. Never before have I seen so much Inside Sales knowledge flowing for one day. Harlem Shake for Demand Gen? Do something "social" today! Have you seen the latest viral craze on YouTube -- the Harlem Shake? It's been around a while, but there is a new resurgence of interest in it. Our Green Leads London office decided to fire up the video yesterday and make a contribution to the Harlem Shake movement. Have you created a video that contributes to your demand gen, social media and branding programs? Do one today! ps. Can you say "Elaine from Seinfeld"? Ladies and gentlemen, the sales automation revolution is upon us. SFA/CRM? Old School, table stakes. The highly optimized sales organizations of today has a collection of sales automation application that work on top of their CRM. As I declared in a previous blog post: The Seller has Changed Forever. It's exciting times for sales people -- marketing is becoming more sophisticated in their lead generation efforts (more leads is always great) and sales organizations are making the lives of their sales people better with automation. On December 13 at 11AM Pacific, I will be joined by Matt Heinz, Brian Vellmure, Nancy Nardin, Koka Sexton, and Miles Austin in a free webinar: 31 Must-have sales tools for 2013. I have had a lot of fun learning about the tools everyone is going to discuss. In today's post, I present three tools to you. Join us for the 28 others.... I had a lot to choose from so I decided to keep it simple and highlight the three sponsors. Keep in mind, that we chose sponsors based on technology we wanted represented. We didn't find sponsors and then decide whether they should make the list. 1. DocuSign -- I just started using DocuSign last year. DocuSign is one of the vendors in the fast-growing e-signature space. In layman's terms: Get contracts, paperwork, etc signed electronically instead of printing paper and faxing. It's a god-send. There is nothing sales and everybody else for that matter hates worse than paperwork. It holds up the sales process and is the most painful part of one of the best parts of the sales process: the last mile. Let me give you an example: Last year, I decided for some reason to do a face-to-face sales call at the end of the quarter. (Don't ask). My rep calls me: "I can get this deal if you can sign off on the SOW". My reply:"Can't I'm in my car and won't be back in the office for an hour". Rep: "Dude, pull over to a Starbucks and 'Docusign' it on your Ipad". Boom. Signed, deal closed. E-signatures are a "why wouldn't you?" product. 2. InsideView (client) -- Sales intelligence, use it to sell better. How's that slogan? If I told a sales person 20 years ago that in 2012 prospects would use the internet and especially social media to update you on what they care about, what they do, and what they are doing, they would say "I want some of that". The best sales people are always researching, preparing, and seeking opportunities. The internet has changed the research game forever. Information about your prospects has never been more available yet finding and tracking that data can be cumbersome. Sales people want it easy and in front of their face. InsideView gives sales people a single interface to view your the accounts and their latest news. You can also set up triggers to be kept abreast on the latest happenings at your target accounts. 3. Kred for CRM -- One feature I love with Kred for CRM is the one that allows you to figure out "who" in your organization is connected to and interacting with your key influencers or prospects on a particular deal. Here is an example: You are selling to an account and you go in and find out that one of the key influencers is connected to someone in your organization. Not only that, they have tweeted to each other in the last 60 days. You are able to leverage that internal relationship to further solidify your relationship with the prospect. I just talked to a buddy who did this with Linkedin a few weeks ago. He was going into a scary client meeting and realized that a product marketing guy was a business connection of his contact. His friend reached out before the meeting and they walked in knowing each other. Meeting went great. Now imagine doing that with Twitter. Also, you can measure the social influence of your customers and prospects. You can use this data to decide how to handle them in the selling process. All great data to have in this brave new world. Talking about sales automation is fun. I think its because selling has been so hard and so lonely all these years. Now people are making technology just for us and our lives are better for it. Join us to learn about all 31 must-have sales tools. This past week I attended SiriusDecisions' Boston Executive Roundtable with a focus on Sales & Marketing Planning for 2012. The discussions that were triggered by the fantastic content were the highlight of the event. Throughout the morning the attendees were sharing ideas openly, to the point where the last agenda item had to be cut short. Social Sign On is bringing high submission rates to websites, but how do we manage missing information and is a Social Sign On considered an opt in? I expect the upcoming SiriusDecisions Summit 2011 Europe in London on October 5 at the Park Plaza Victoria London will encourage even more discussion. "The discussion of best practice demand generation will be an active discussion at European Summit. You will hear some from industry peers, our thought leaders at SiriusDecsions, and most of all from those you interact with." John Neeson, Co-Founder, Managing Director of SiriusDecisions. During the course of the day, the agenda is packed with great topics and also provides for networking time of over 3 hours. To see what others thought of this year's Scottsdale event, Jonathan Block posted a great list of SiriusDecisions 2011 recap articles.